Our November WiN meeting will take place Thursday, November 1st in the community services building of the KL Police Services building. 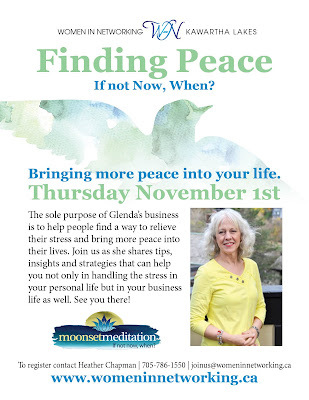 Our guest speaker is Glenda van Koot of Moonset Meditation. Full details below. 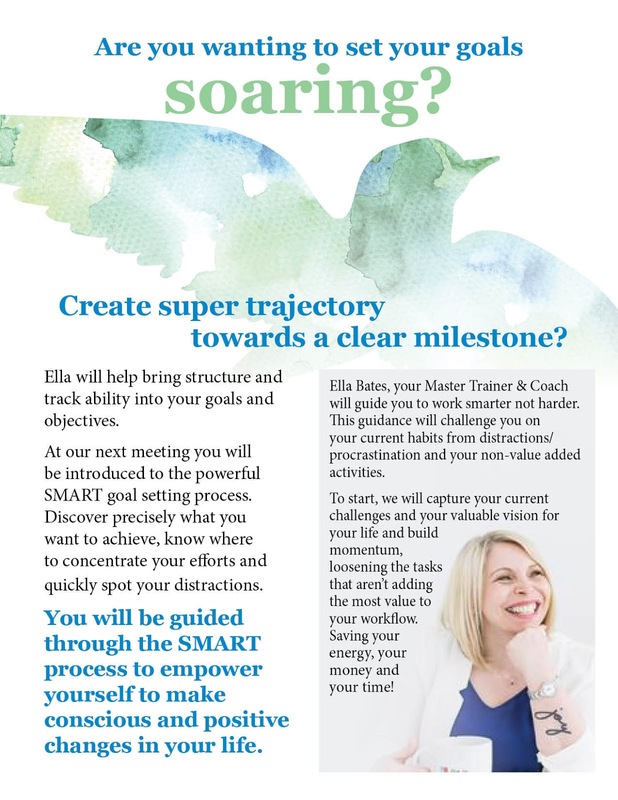 Please contact Heather Chapman at joinus@womeninnetworking.ca or 705-786-1550 if you are interested in attending. Our September WiN meeting will be taking place Thursday, September 6th in the community room at the KL Police Services building from 11:30am to 1:30pm. Tammy Thirnbeck, Tupperware Representative, will be sharing with us tips on healthy eating, meal planning, getting organized and saving time and money. There will be some fun activities and gifts for everyone! Please call or email if you would like to attend. Thursday, July 5th is our next WiN meeting. Your Pampered Chef Maria Tohill will be our speaker and facilitator. Maria has been in business for over 15 years as a successful entrepreneur. She will be sharing with us ideas and tips for customer follow up and customer service. Two key components to a successful and thriving business. If you are planning to attend, please RSVP by emailing joinus@womeninnetworking.ca. This is a reminder to save the date: Thursday, Feb 1st will be our first WiN meeting of 2018.